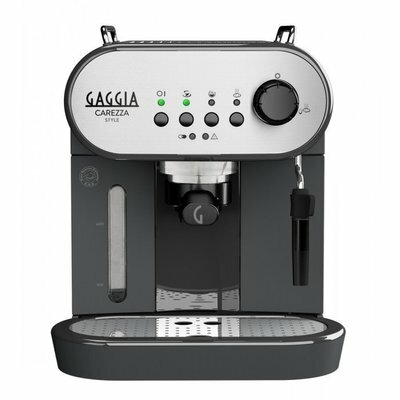 We have introduced the Gaggia Classic 2019. This new Classic has all the old features of the Solenoid Valve model that first came into being in 1991. In 2015, we had to change the much loved Classic to a mechanical valve machine in Europe. The Solenoid Valve model was only available in non-European countries. 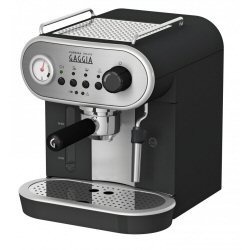 And now, due to popular demand, Gaggia has updated the Solenoid model to a European standard Standby version, with some more features, including a professional steam wand. The 2019 model also comes with two traditional 58mm filter baskets [16g and 7g baskets] for those home baristas to make have the ultimate experience of perfecting your espressos. A 14g pressurised basket is also included as standard. The new Gaggia Classic is the culmination of our 80 years of tradition, history, and experience. 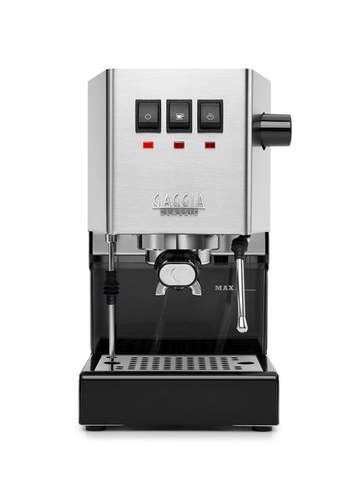 We know that quality espresso is a ritual requiring the utmost care and attention so we built the best machine for the job. 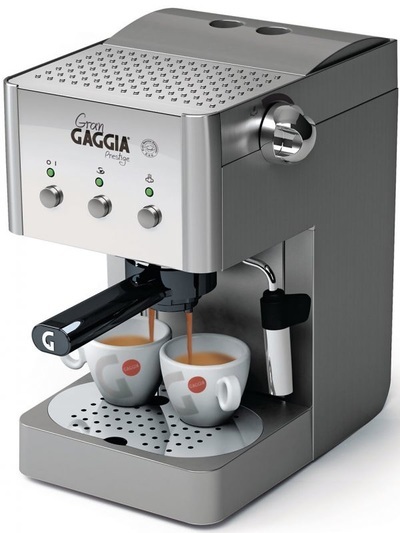 With the Gaggia Classic you can pay attention to every detail and brew real, Italian espresso with the utmost precision. 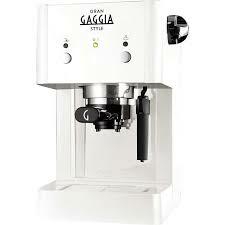 This is a machine in the finest tradition of Achille Gaggia, brewing an espresso with exquisite crema. 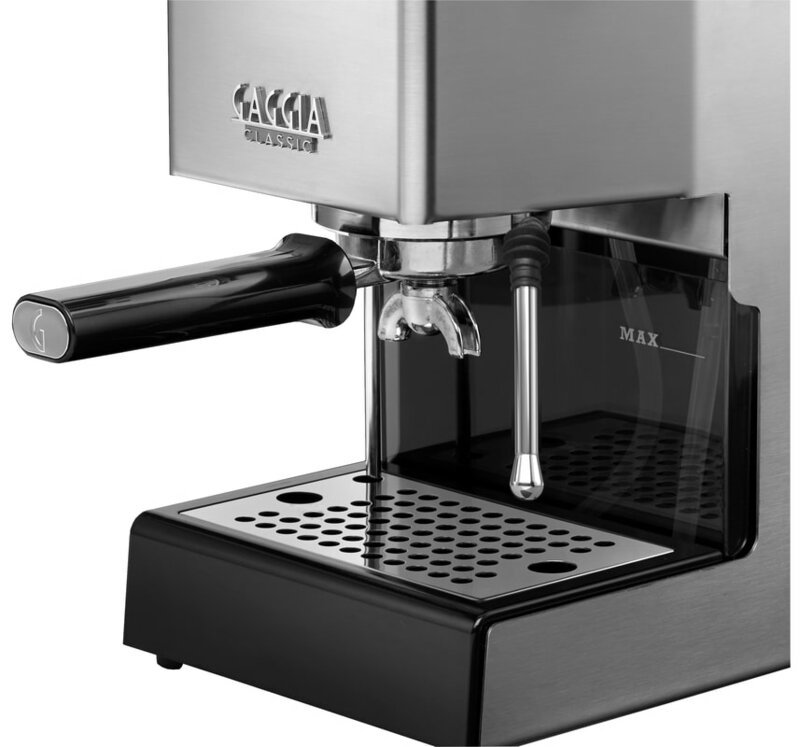 The traditional group, solenoid valve and traditional filter holder ensure total control over the coffee; while the professional steam arm will froth the perfect microfoam for your cappuccinos. Stylishly designed and totally made in Italy. 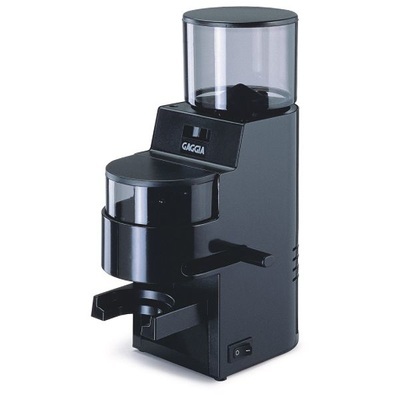 Designed to professional standards, the group head and filter holder are made of chromed brass to give you the best in espresso quality and machine longevity. The heavy chromed brass group and filter-holder ensure a consistent and stable brewing temperature throughout the entire brewing process. The three-way solenoid valve relieves the pressure in the filter holder immediately after pulling a shot. Water empties from the filter holder via the open valve, and into the drip tray. This leaves the coffee puck dry, making it easy to clean. 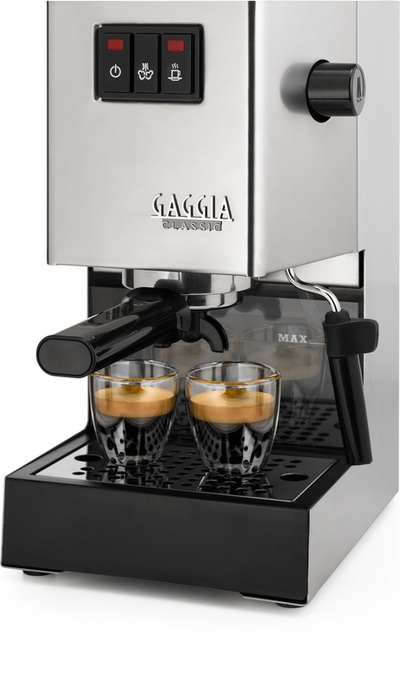 The boiler is designed for unparalleled temperature stability, giving you the best espresso every time you brew. 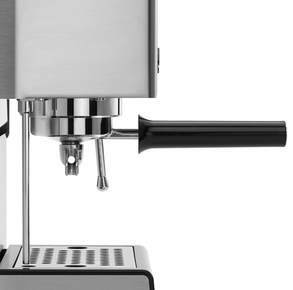 The 15 bar pump pushes the hot water through the ground coffee at high pressure to ensure better tasting, crema topped, espresso. The perfect way to steam the milk, and make exquisitely silky, bar-quality microfoam. 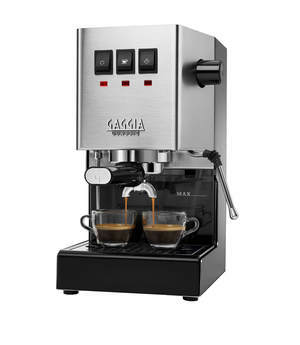 The traditional rocker buttons and indicator lights for: on and off, espresso preparation, and steam dispensing allow total control. 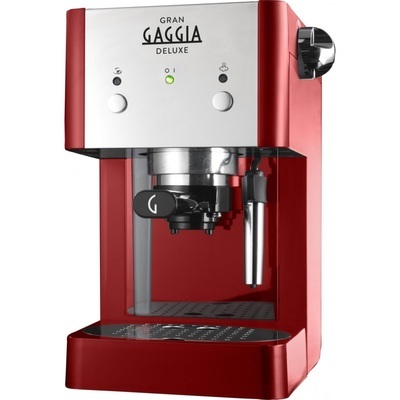 The iconic design of the Gaggia Classic has been updated to enhance your home barista experience, The new side shape makes the water level visible, and the drip tray has been redesigned for extra stabilty. The machine comes with three filters: a “perfect crema” basket to help you have the perfect espresso from the first use, while single (7g) and double (14g) traditional baskets allow you to perfect your home barista skills. 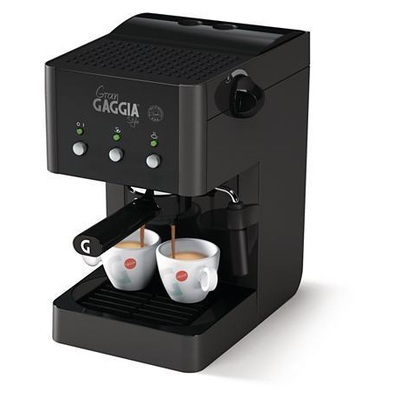 Espresso cups and glasses can be stored on the top of the machine for convenience, and to be ambiently heated by the boiler. 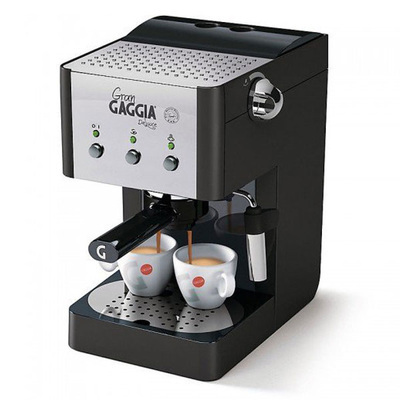 A warm cup ensures that you espresso remains at the perfect temperature. 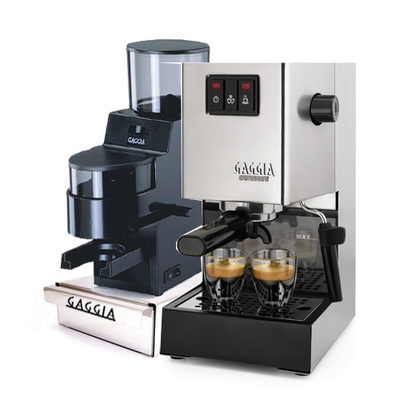 Guaranteed to be of premium quality, built with 80 years of passion for espresso making.